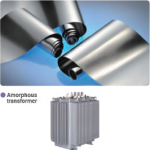 In the context of energy efficiency in the transformer, amorphous metal core proves advantageous. Amorphous metal is produced by rapid cooling of the molten metal alloy. Amorphous metal is gaining more attention in the nation as well as worldwide as it features losses as less As 30% to that caused by the conventional core. 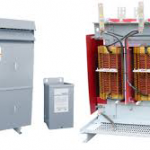 Amorphous metal transformer show better performances not only at the fundamental frequency. But also at the fundamental frequency for distorted load current and voltage. The reduced thickness of steel sheet of the core. Much improved steel surface quality to increase lamination stacking factor. 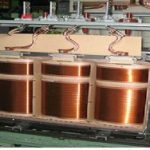 Transformer work at maximum efficiency if it loaded at least 50% of capacity. Hence proper sizing and way of loading of distribution transformer will lead it to efficient working.